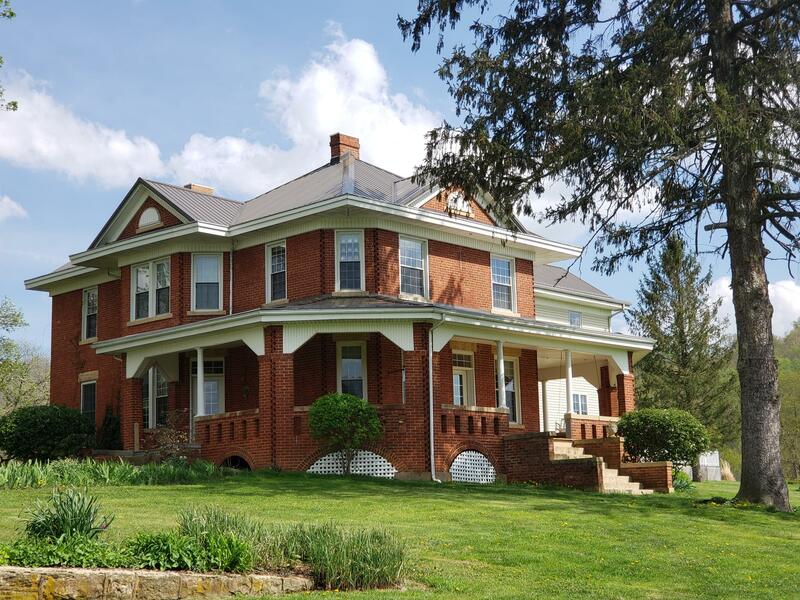 WV country roads will bring you to this magnificent farm that has stood the test of time! Driving down the driveway you get a sense of what it must have been like in a horse & buggy or just a leisurely horseback ride from town. The 5 Bedroom home is actually the second home that was built on the property as the first met its fate in a fire. The home has had an addition that gives you room for guests, ensuite or more room for what you have in mind. The front porch wraps around the front for a wonderful view of the 100+ acres. Inside you'll find formal living areas that are adorned with fireplaces, built-ins as well as hardwood floors. The updated farm kitchen has plenty of room for cooks and tasters alike! This area of the home, new addition, has its own heat pump for heat & a/c.